My January Envy Box arrived a few days ago and I was delighted by the text I received informing me that it was on its way to my doorstep. 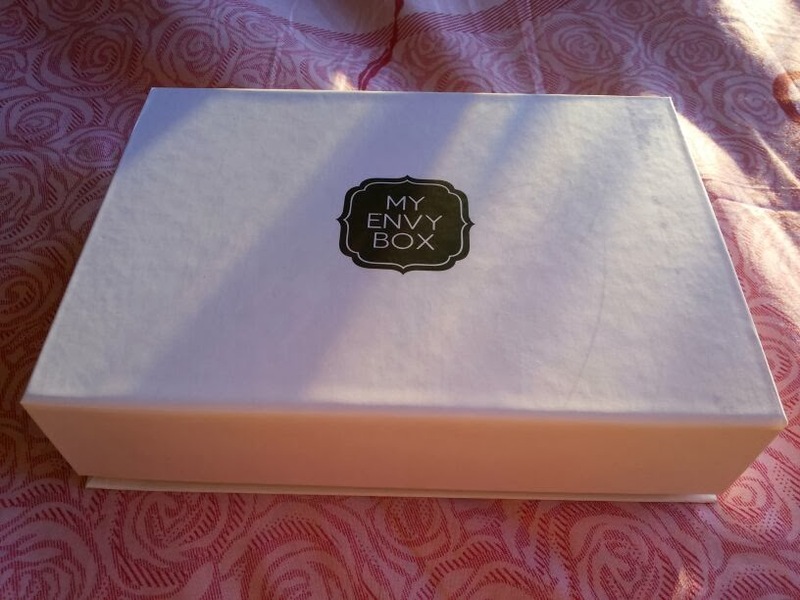 As I mentioned in a previous post, My Envy Box, is a beauty box with samples of luxury skincare, hair products and perfumes, priced at a very reasonable Rs 850 a month. If you like a certain product, you can buy its full sized version from the same site and that too at a special discount, making it a wonderful way to try it before you buy it. The box also has cards featuring the details and usage instructions of each product along with the price of the full sized bottle. As you can see, these samples are great to store in your bag when you're on the go, or save and use when you're on vacation and don't want to carry full sized bottles. Thalgo is a French marine spa cosmetics brand and is renowned for treatments and products that deliver excellent results. 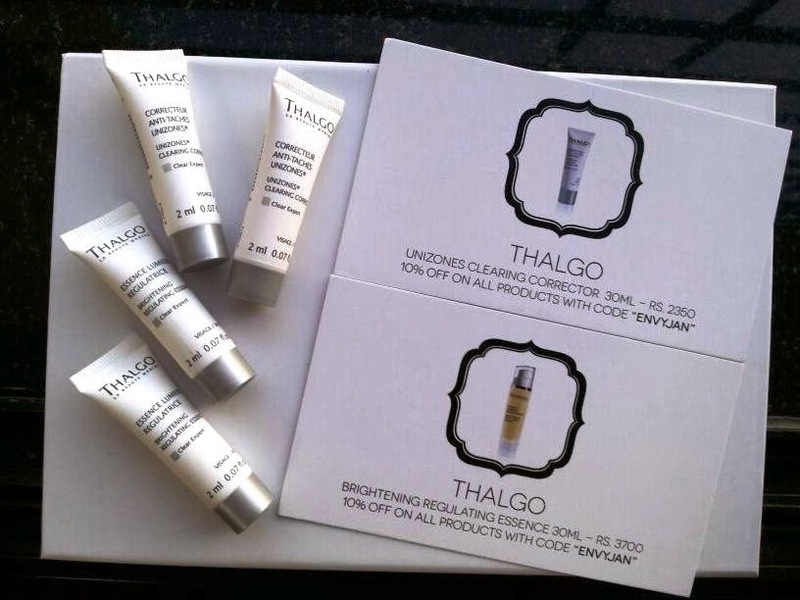 The first product in the box by Thalgo is the Unizones Clearing Corrector, an ultra-concentrated lightening corrector that reduces the size and intensity of pigmentation marks and the second one is the Brightening Regulating Essence, perfect for all of us who wish to brighten our complexion and make our skin look visibly younger. 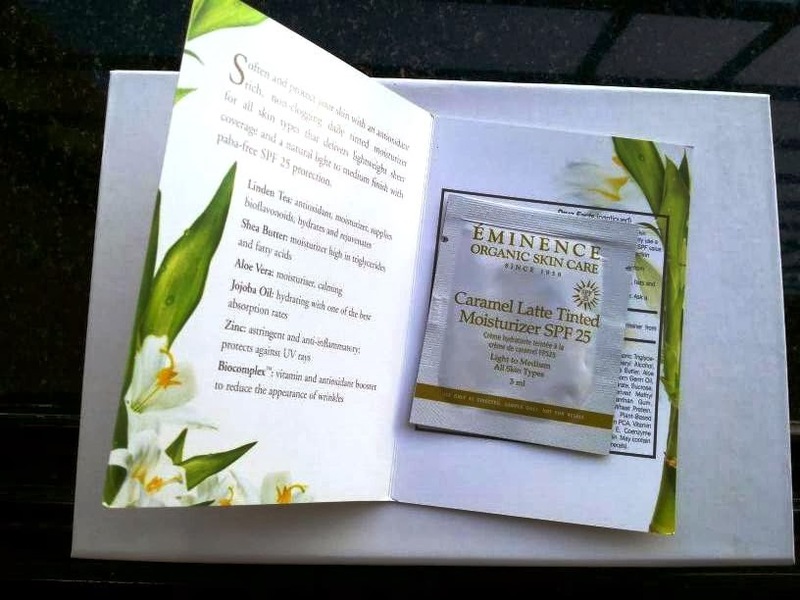 Next up is Eminence's Organic Tinted Moisturizer in Caramel Latte, an antioxidant-rich lightweight moisturizer with SPF25 that provides sheer coverage and smells heavenly just like Caramel Latte. Very moisturizing and luxurious. Unfortunately, the shade is slightly dark for my complexion but then again, who wants to look like a white ghost in the day time? I am yet to try the Elie Saab Perfume as I'm saving it for a special occasion, but the 4 cutout samples provided look so good that my mom picked up two immediately for herself, giving me the logic that she loves the smell so I wont like it! She and I have polar opposite fragrance preferences, but from the description I've read, the floral woody notes in it have already made me pretty sure that I will love it. What do you think of this box? Have you tried any of these products before? It's cute, I like the perfume. Interesting box, pity about the tint colour, at least you know what the product is like now. The hair masque sounds pretty good. I like the products ftom this beauty-box. I'd love to try most of them. Amazing! I like trying out new things! That hair mask sounds good. This is a 5 star post :) Keep it up my dear.. By the way, maybe we could follow each other on Bloglovin and/or GFC, Facebook? Looks like a lot of great products! Great stuff. 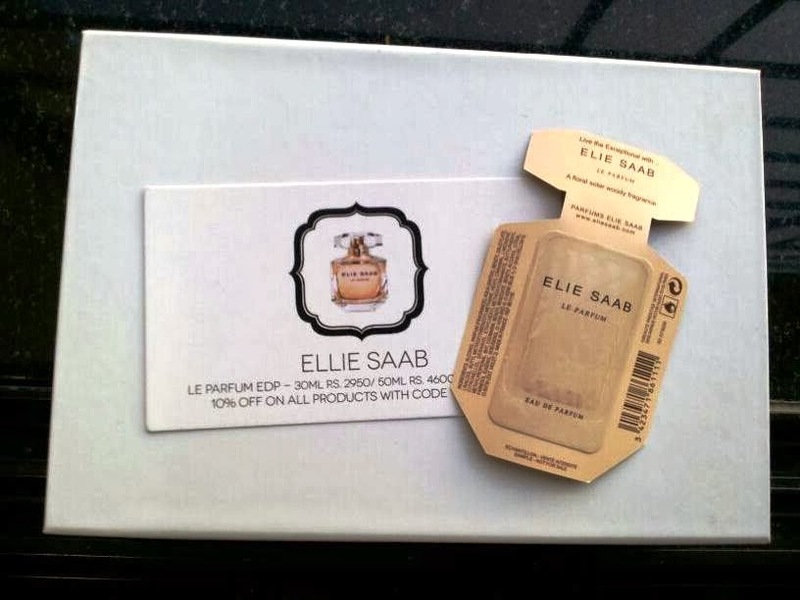 The Elli Saab perfume sounds lovely. Amazing post! looks pleasant!! nice pics.. :-) june, i wait from you to follow me, keep in touch sweety..
You have received so many great products is it! I love the elie saab fragrance! what a nice box..great products and awesome brands..hey I want a full review of the dry shampoo..I saw it in the mag too and am dying to get it..should i?? worked well? no white layer?? havent tried any of these before but they sound fabulous! Love everything in your box. I would love to try out that perfume as I am a big lover of Ellie Saab's fashion collections! I also don´t want to look like a ghost :) No, I haven´t ever tried any of these products but they seem to be good and your received indeed a great box with a really good content! I love your blog name! So funny and true, don't we all? haha. Anyway the Envy box looks great, is it better than birch box? I've been thinking about trying this out. The tinted moisturizer seems great, I'm always on the hunt for the perfect one. You have a lovely blog darling, maybe you'd like to check me out? Let me know, I'd love to keep in touch! lots of fun samples to play with! that's a really great box! You got great items, June! I tried the perfume and it's very good! Thank for your visit and of course I'd like if we followed each other! You got awesome items. Lovely blog too! Yes of course I'll follow you! Thanks for your fabulous post my dear friend. Checking on you babes,Happy Monday. Lovely box you got there!! 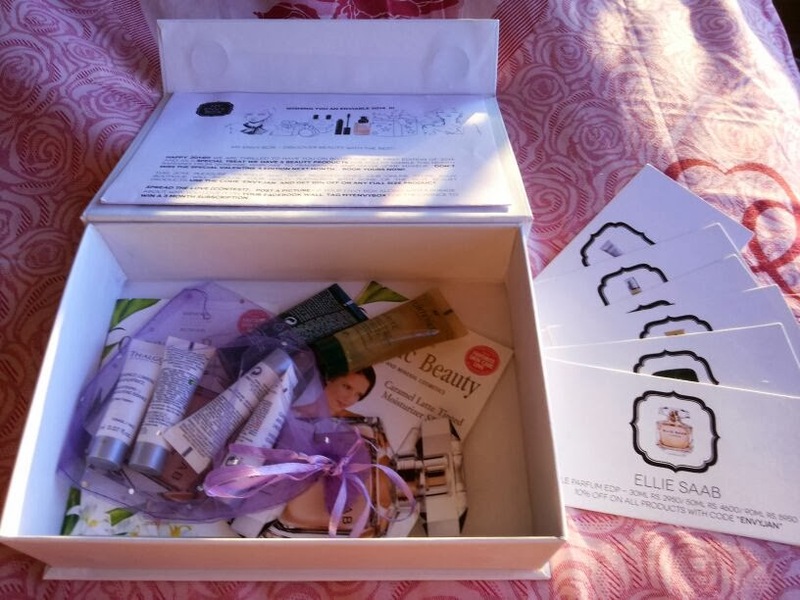 I love these beauty boxes I wish we has good ones in Australia. Love the contents of your envy box. The Elie Saab fragrance must be lovely. 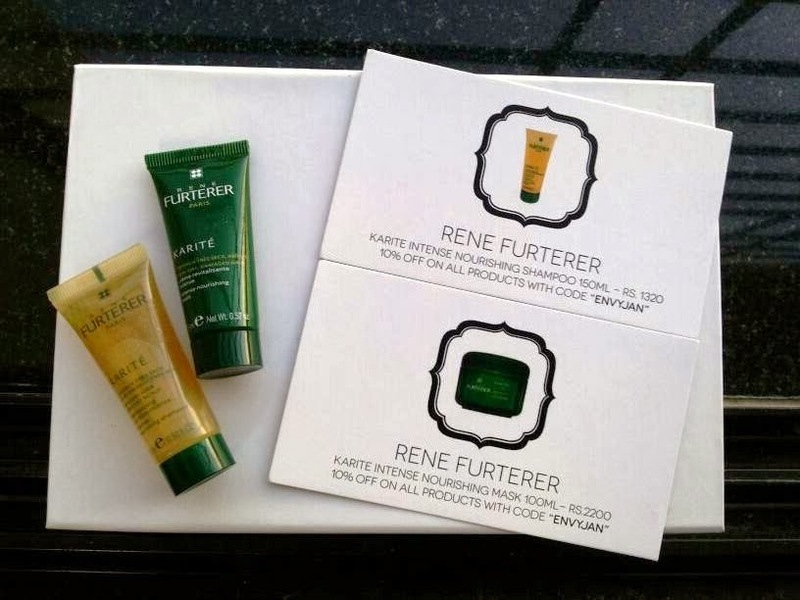 The content of the box is pretty good the furterer line is a really good brand that I've been using for almost 15 years!!! And I love that you have take a picture of the sample next to their card, this is looking great!!! Thanks for sharing....Eastern Voyage Pvt. Ltd. providing Luxury train Tours to whole India like Palace on Wheels, Maharajas Express, The Indian Maharaja Express, The Royal Maharaja on Wheels. You can see culture, tradition, customs, foods, cloths, art, royality, wild life, adventure etc on these trains.